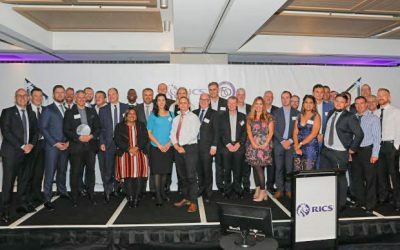 Rawlinsons are acknowledged independent cost management experts in New Zealand, providing reliable cost information to clients, based on experience, local market knowledge and an extensive database of rates. We are seen as a `trusted partner’, managing costs throughout the construction process to make sure our clients get good quality advice, early enough to make a difference. 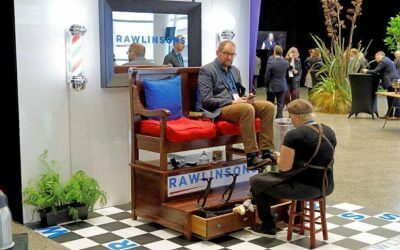 Rawlinsons ‘shoe-shine’ stand was voted best exhibition booth at Infrastructure New Zealand Building Nations Symposium 2018. The Rawlinsons stand proved very popular at the conference! Our clients benefit from a full range of cost management, quantity surveying and procurement solutions. Rawlinsons database of historical construction costs, understanding of construction methodology and extensive experience of value management give us a competitive edge. Rawlinsons are continually investing in the best technology to ensure we provide innovative solutions for our clients. There’s nothing more gratifying than a quality project, finished on time and within budget. Browse through our portfolio of highly successful projects that Rawlinsons have helped crystallise, take shape, and materialise into something very real, all the while exceeding project expectations on time and cost. Rest easy knowing Rawlinsons are independent quantity surveyors – that means we are completely impartial and provide unbiased solutions focused on your best interests, not ours. Combine that with the collective experience of our highly qualified team of QS professionals and you have a winning partnership. 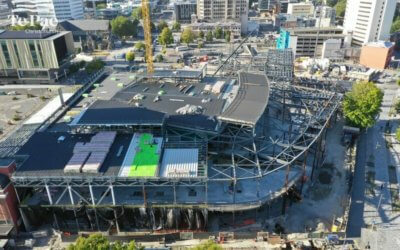 More than 50 years of facilitating large-scale construction and building projects throughout New Zealand.